Today’s guest post comes courtesy of former CSP intern (and now staff member in the Jupiter, FL location), Ashley Crosby. I really liked this, as it served as a stark reminder that internships can provide more than just monetary value1 Particular to fitness industry internships it’s also a reminder that the “true” value is in learning the intricacies behind working with people, and not just getting good at breaking down deadlift technique and regurgitating Prilepin’s chart. When I did my internship at CSP-FL in the spring of 2015, I was mostly concerned with nailing down the technical aspects of coaching. How do you write the best program? How do you spot compensation patterns? What are the best exercises and progressions for each individual at each point of their season? Why choose one exercise over another? What’s better? See, I was finishing up grad school, and though I was lucky enough to have some experience in the field, I was still mentally stuck in finding the one correct answer. I wanted cut and dry answers, steps to follow, and I wanted to be the most proficient in each and every exercise. I recently asked our new class of interns what they were most interested in learning about, and saw similar topics: nutrition supplementation for sport, arm care and managing injuries after surgery and rehab, set/rep schemes, developing throwing programs, density training–the technical aspects of what we do day in and day out. But here’s the thing: the most important lessons I learned as a coach were not technical in nature. Comfort in the technical aspects comes with time and practice, from reading both the science and articles from other coaches on how they apply techniques, and from making mistakes and trying new things. 1. Learn everybody’s name, and a few facts about them. Greet them by name every day. 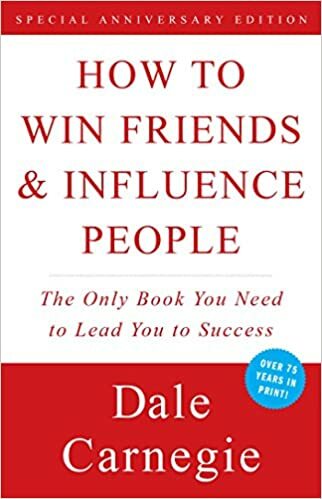 As Dale Carnegie said in How to Win Friends and Influence People (a book I highly suggest every coach out there read), there is great power in a person’s name. Use it often. 2. Learn how to ask questions and genuinely, actively listen to them. Start every session by asking athletes how they feel, how their weekend was, how their game was, or some other question to see how they’re feeling. It gives you a good idea of their level of fatigue or their mood, and gives you a chance to set (or re-set) the tone for the day. NOTE from TG: I listened to a recent interview on The Fitcast with Mike Boyle and he mentioned a program that he and the staff at MBSC are experimenting with called CoachMePlus. The idea is to have better access to the metrics that affect athletes on a daily basis and to better prepare coaches to augment training and programming variables accordingly. Seems interesting. 3. It doesn’t matter what kind of day you are having; leave your troubles at the door. As a coach, you are an emotional rock and set the tone for the facility and for the session. Don’t let your bad day become your athlete’s bad day. 4. Whether it’s busy or dead, don’t lose your focus. When it’s slow, it’s easy to mentally check out and want to hang out with the other coaches or interns. It’s great to be friends with your fellow interns–in fact I genuinely hope you are, because they’re part of your new professional network. However, when people are in the gym, your focus should be on them. Use it as an opportunity to get to know your athlete better, to spend a little more time working on a movement they struggle with, and as a chance for you to become better as a coach. 5. Seek out the quiet ones and the young ones. These are often the hardest to work with—not the pro guys who are very talented athletes and cue up quickly, but the ones who are still figuring out how their bodies are supposed to move or are too shy to ask for help. Not only do they need the most help technically, they need to feel a part of the gym culture that you’re creating as a coach. While I learned a lot of the technical aspect during my internship (and continue to every day through articles and books and interactions with my coworkers), they’re all just in the background of what I do all day, which is interact with people, and build a relationship and trust with them. As Teddy Roosevelt said and Eric often quotes, people won’t care how much you know until they know how much you care. Ashley Crosby recently finished her MS at Bridgewater State before coming to Cressey Sports Performance, first as an intern and then as a coach. A CSCS and Pn1 certified coach, she runs the strength camps in the CSP-FL location. Before she went back to school for her masters, she was the social media director for the Cape Cod Baseball League. When she’s not coaching or lifting, she’s usually watching baseball. I love number #5 not necessarily b/c it targets a specific group but b/c she recommends building a relationship with clients. People buy relationships with trainers not workouts.